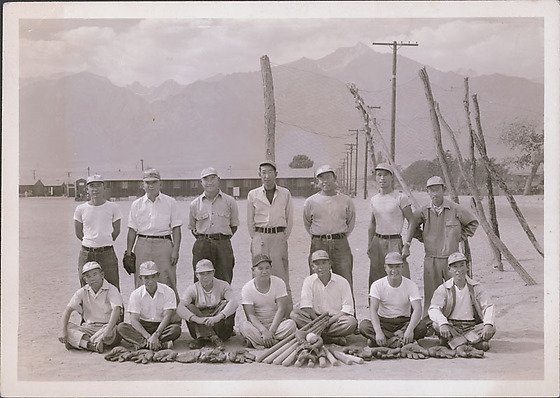 1 b&w; image of 14 men all wearing baseball caps posing behind a pile of baseball gloves and bats. Background are barracks. Inscription on back in Japanese.